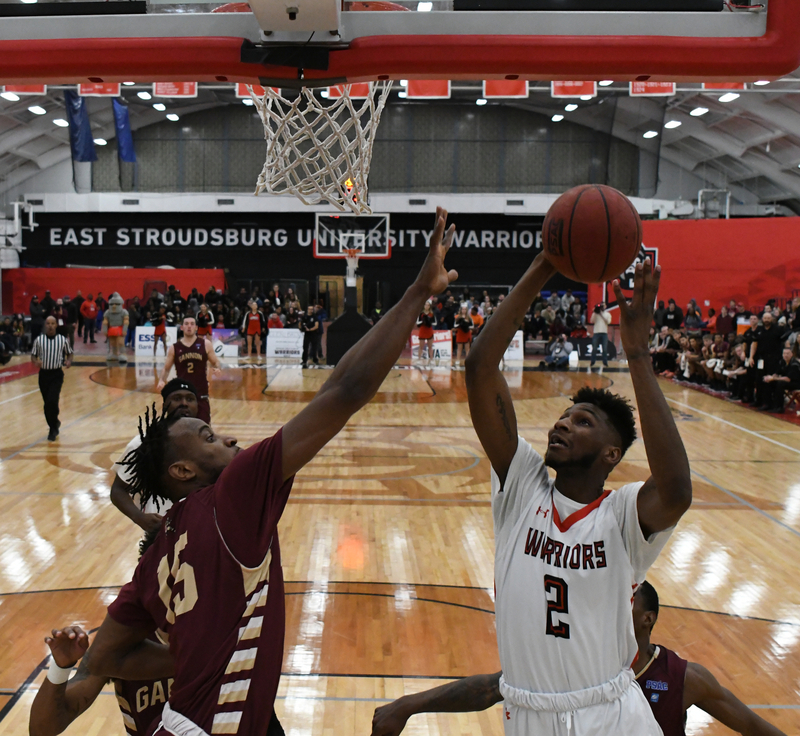 ESU Men’s Basketball = PSAC Champions! 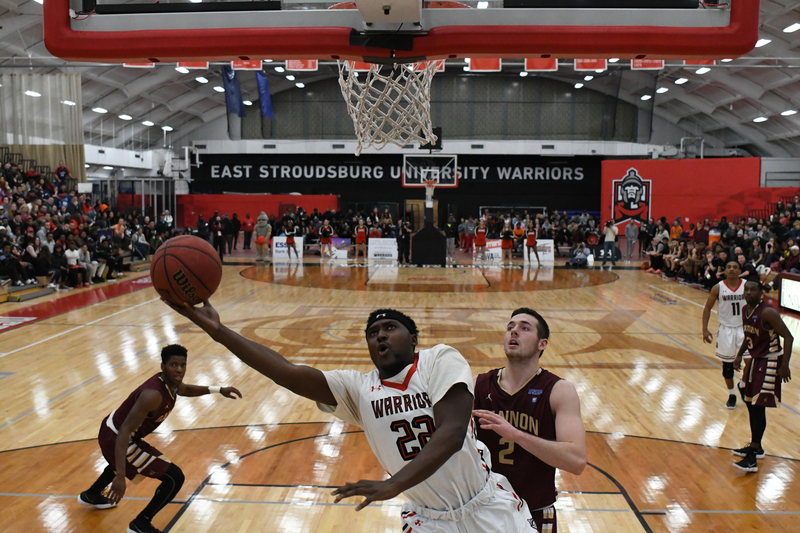 Koehler Fieldhouse was rocking on Sunday evening as the Warriors tipped off against the Golden Knights for the PSAC Championship Game. It was a night for the memory books in many ways. 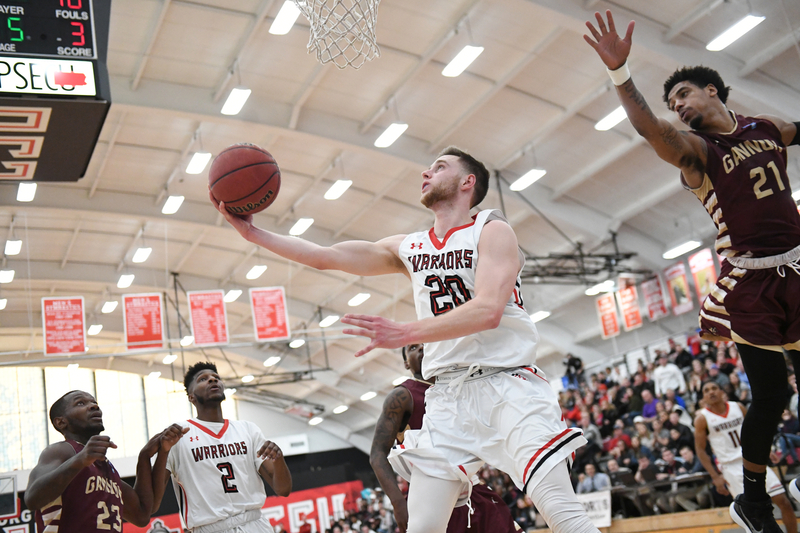 ESU took an early 12-2 lead over Gannon and never looked back. Their full-court press and speed forced mistakes and turnovers throughout the game. The game plan was executed precisely and the championship was won! 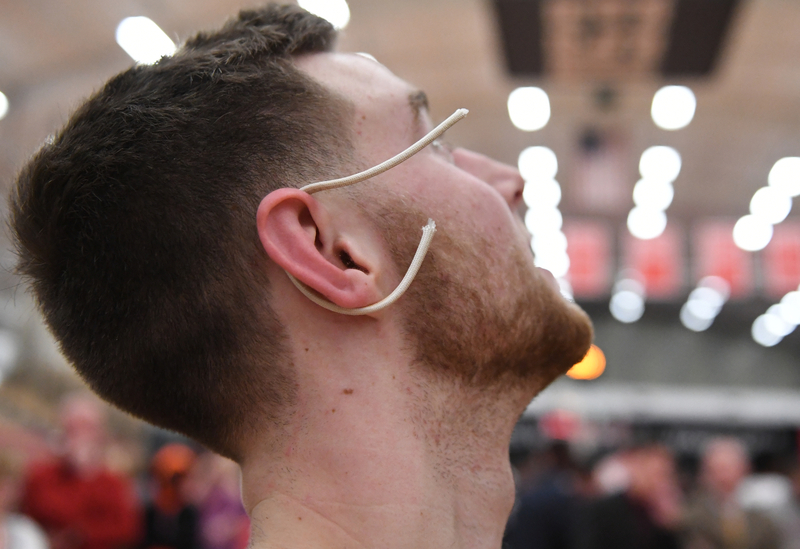 These photos take you through the game and post-game celebrations. I hope they help you see and sense the excitement of this incredible accomplishment. 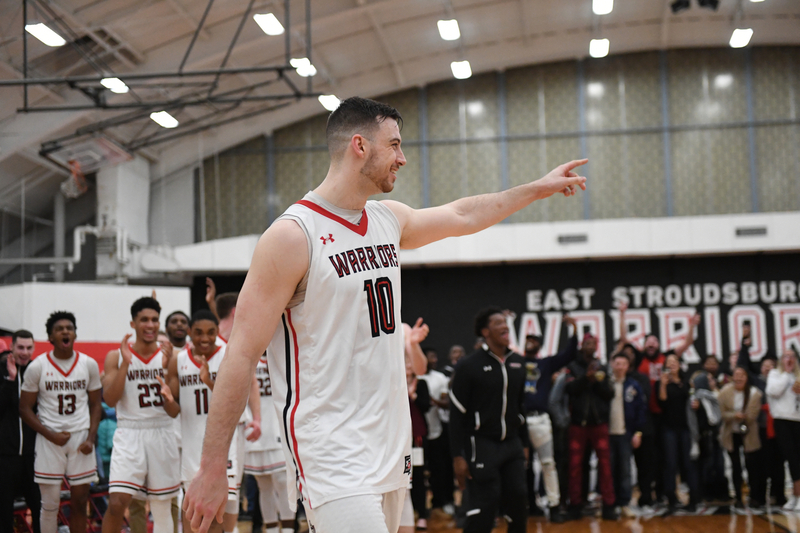 Way to go Warriors! We are very proud of you and the championship title you achieved! 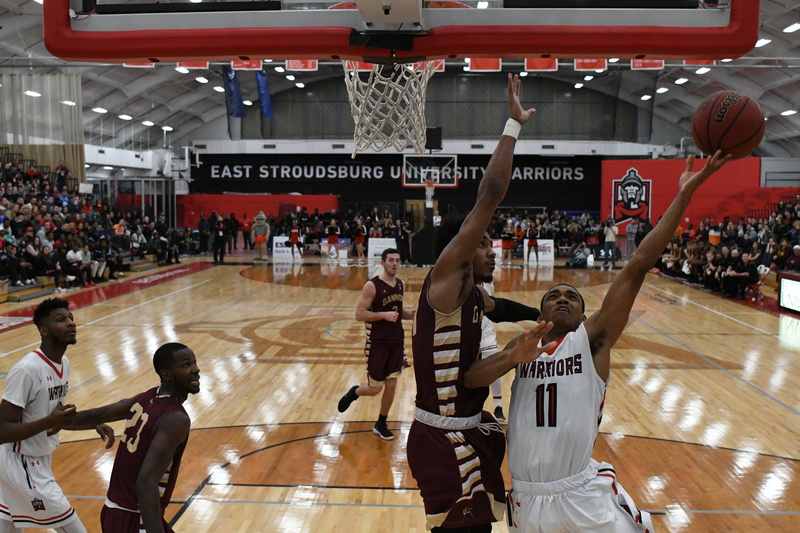 Josh Williams shoots over a Gannon defender to score two early in the contest. 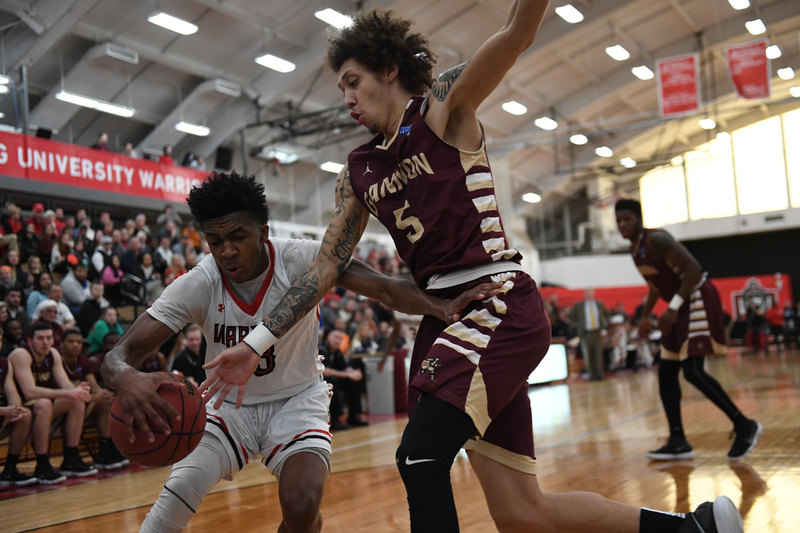 Montrel Morgan works through a defender. 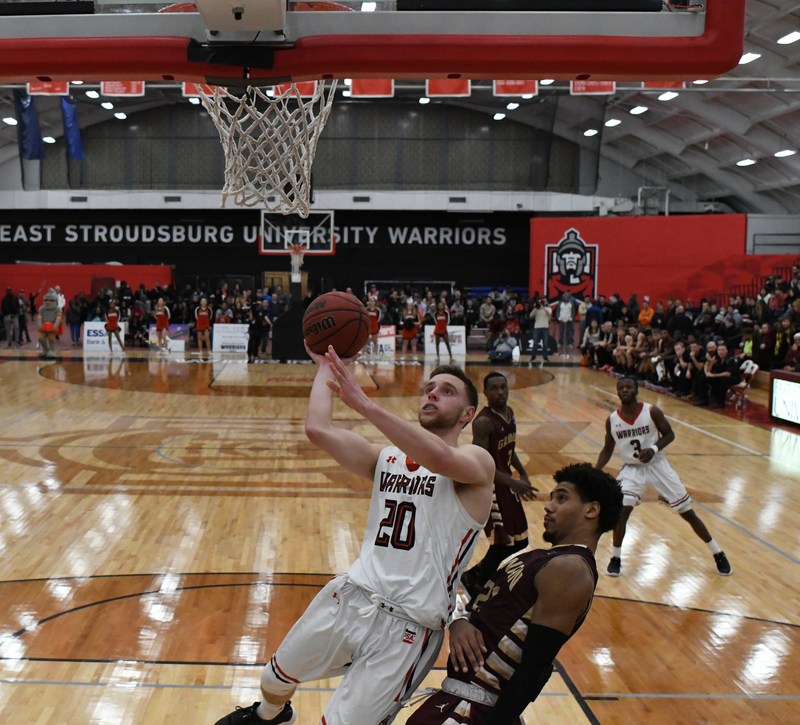 Nick Giordano connects on a layup. 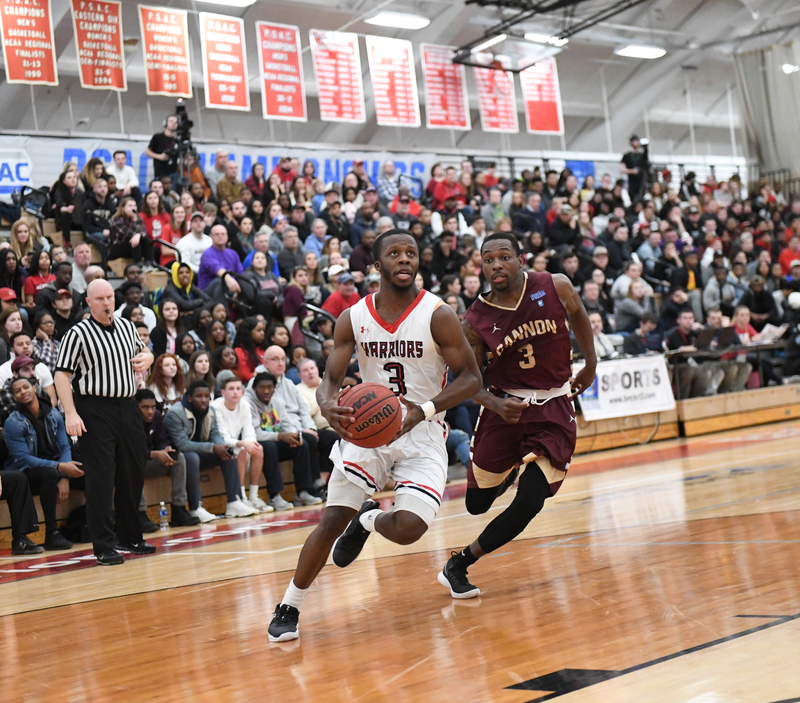 Jakwan Jones drives to the hoop. 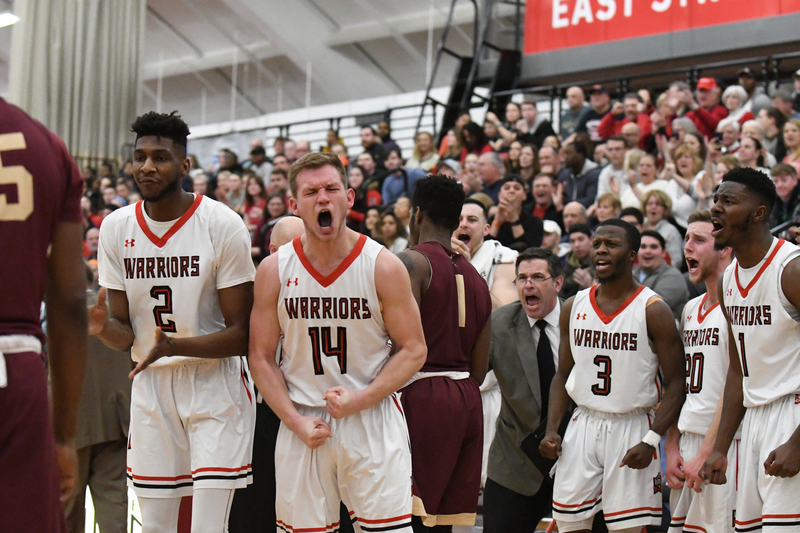 The ESU bench erupts on a score late in the game as a timeout is called! Williams completes a commanding dunk. 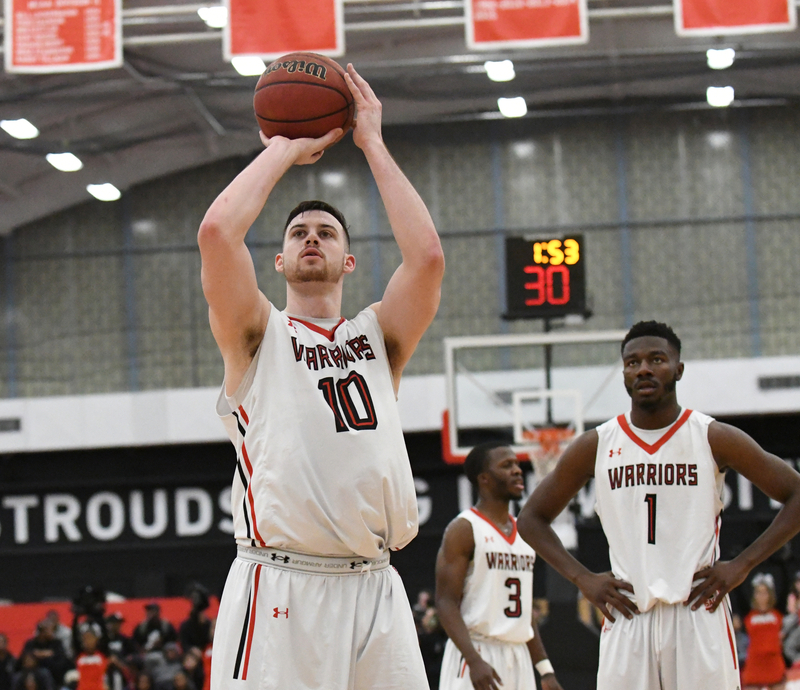 Steve Harris swishes a free throw to get to 1,000 points in his career! 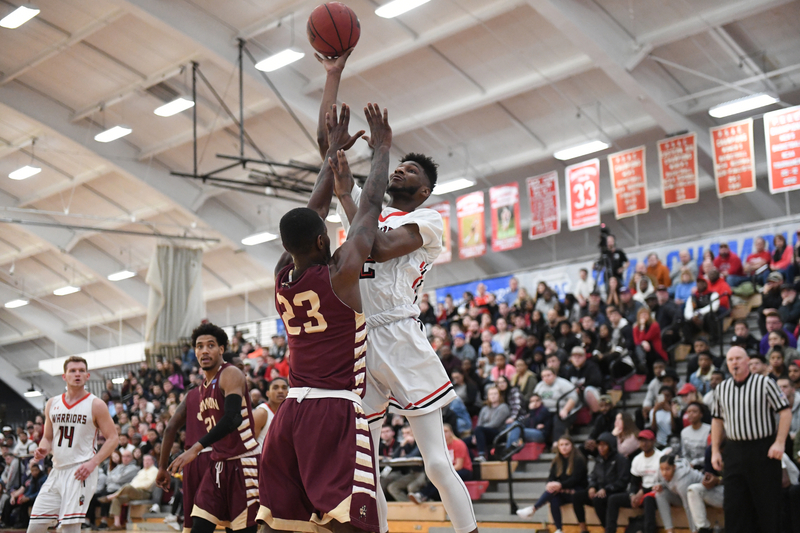 Jakwan Jones defends an in-bounds attempt. 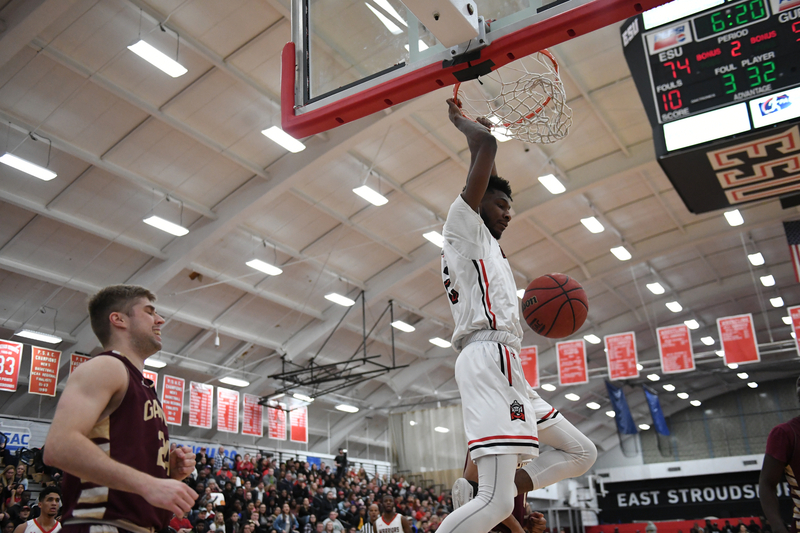 Josh Williams goes up strong to score two more points. Ralik Wise adds two more to the scoreboard. 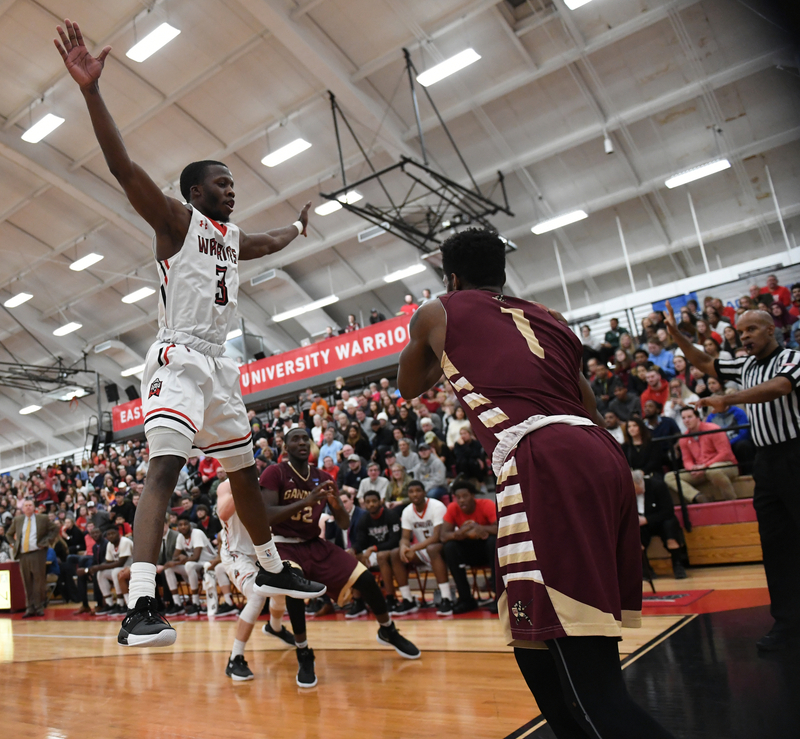 Najee Walls adds to the scoring momentum. Giordano goes up strong to the bucket and scores. 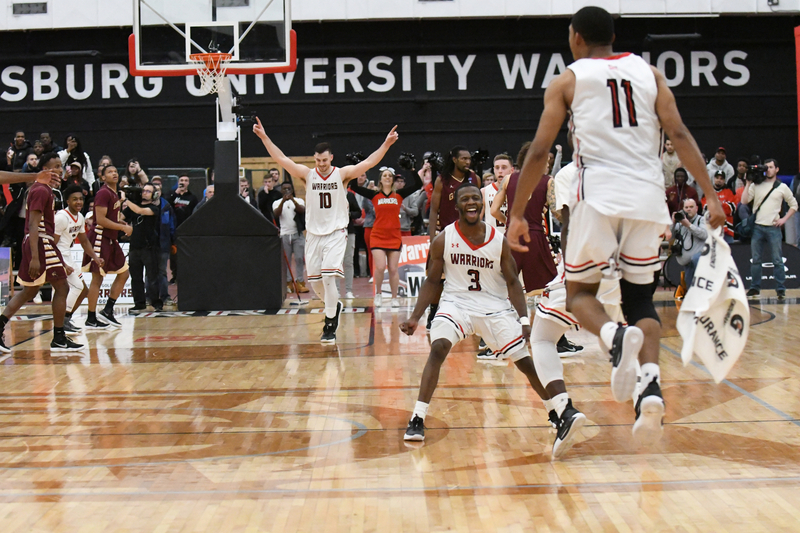 The ESU men start to celebrate as the clock hits zero. 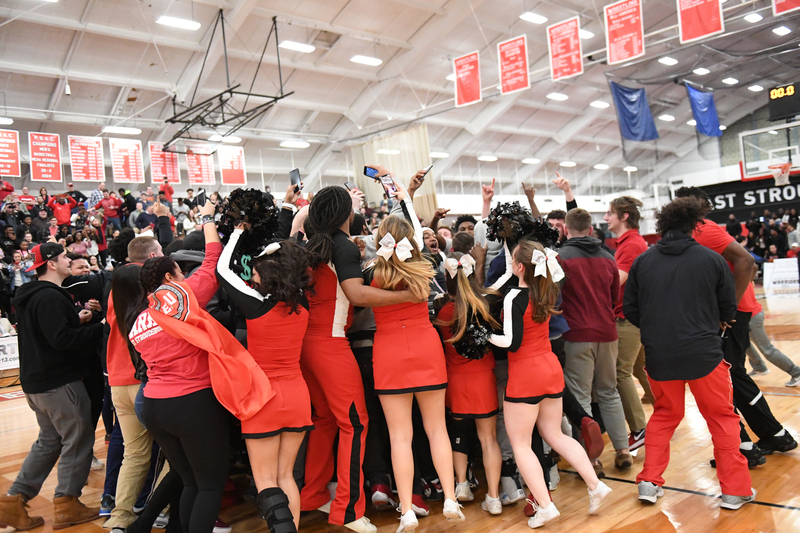 Students and fans rush the court to congratulate the victors! 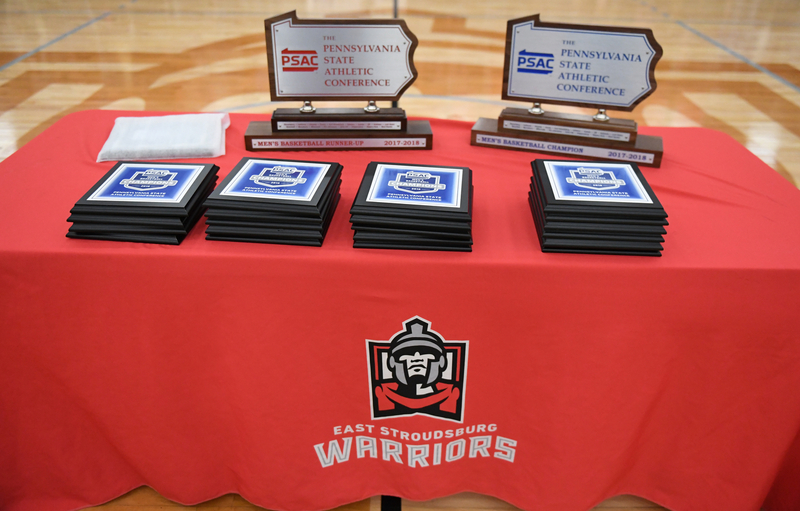 The individual plaques, MVP award, and team trophies await presentation. 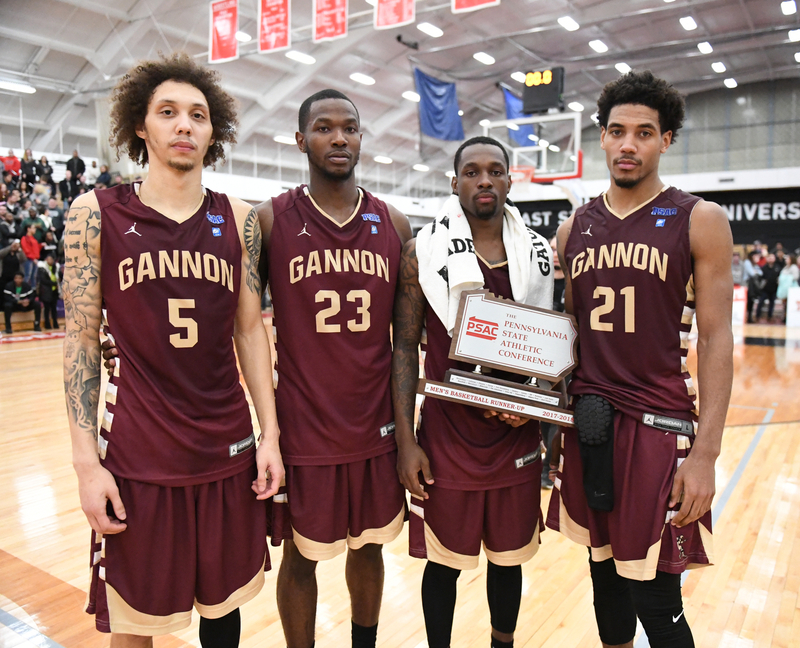 The Gannon men had a great season and accept the runner-up trophy. Congratulations Golden Knights! 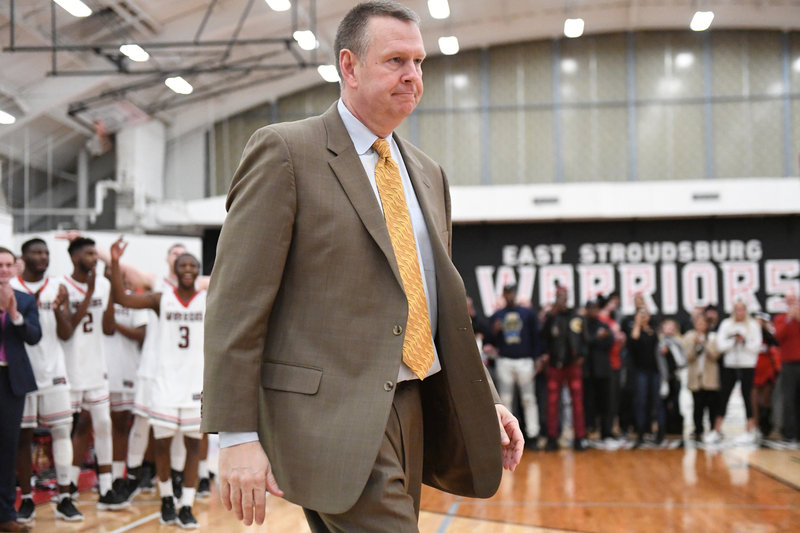 Coach Wilson makes his way to the trophy table. Harris recognizes some family and friends on his way to receive his individual plaque. 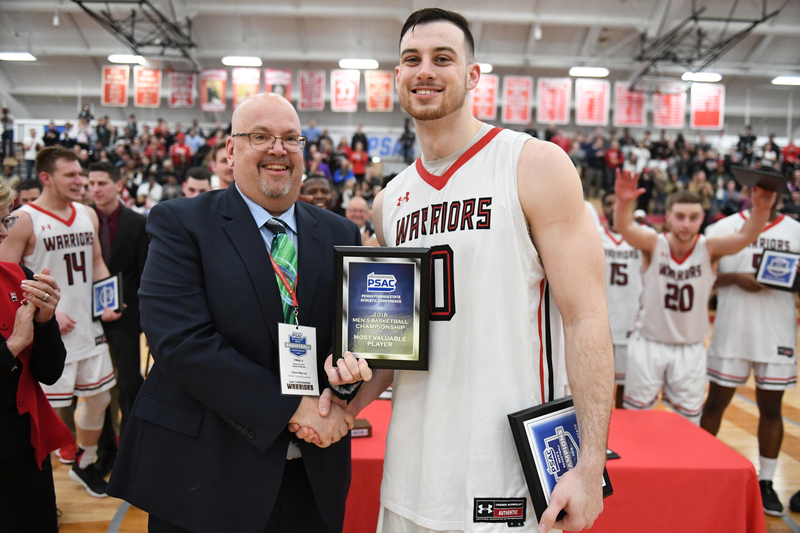 Harris receives MVP honors for a game well-played. Congratulations, Steve! 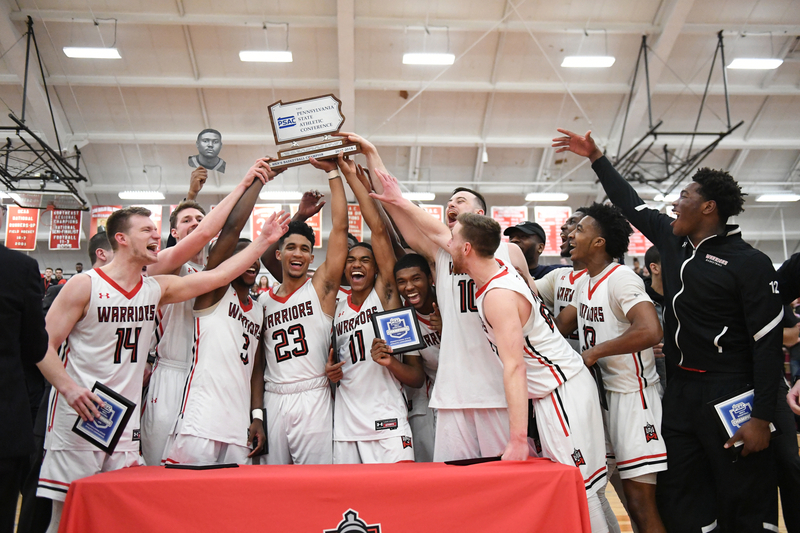 The team celebrates with their championship trophy! Team photo with all the spoils of victory. 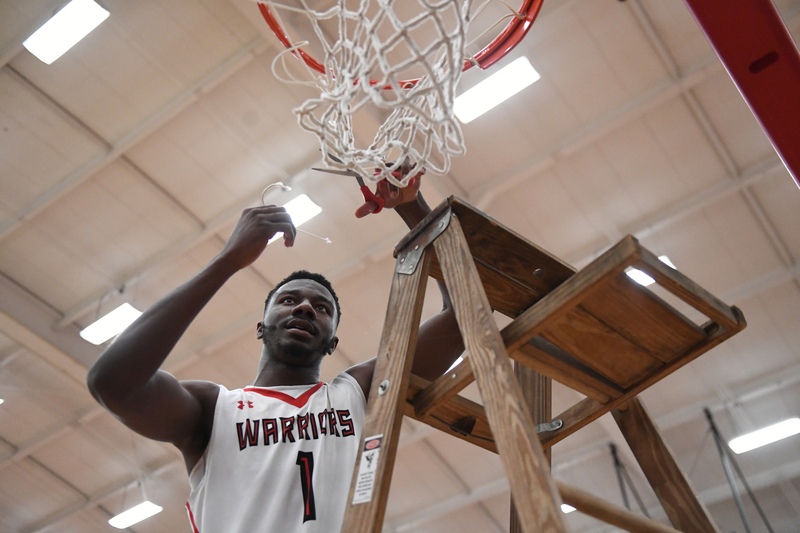 Kobi Nwandu cuts a piece of the net. 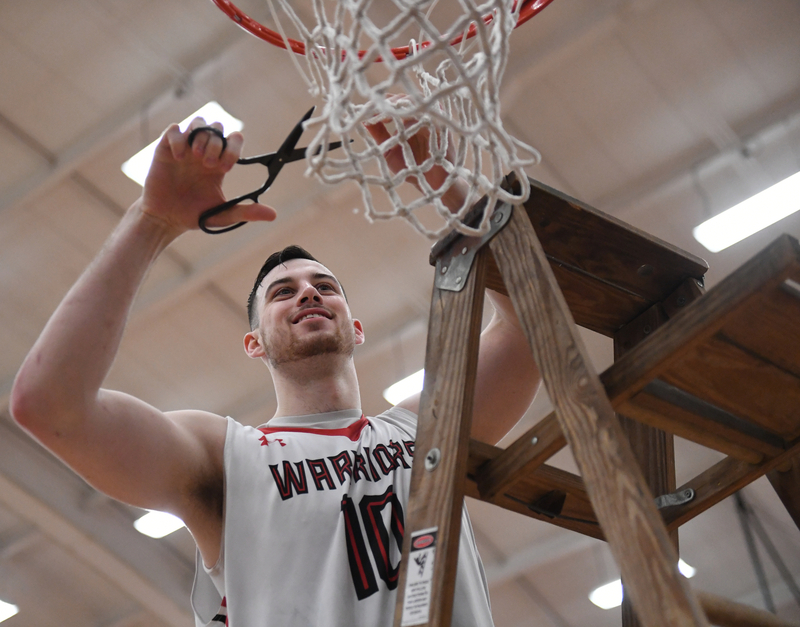 Harris smiles in jubilation as he cuts down his piece of the net. Giordano sports his piece of the net and wears it well. 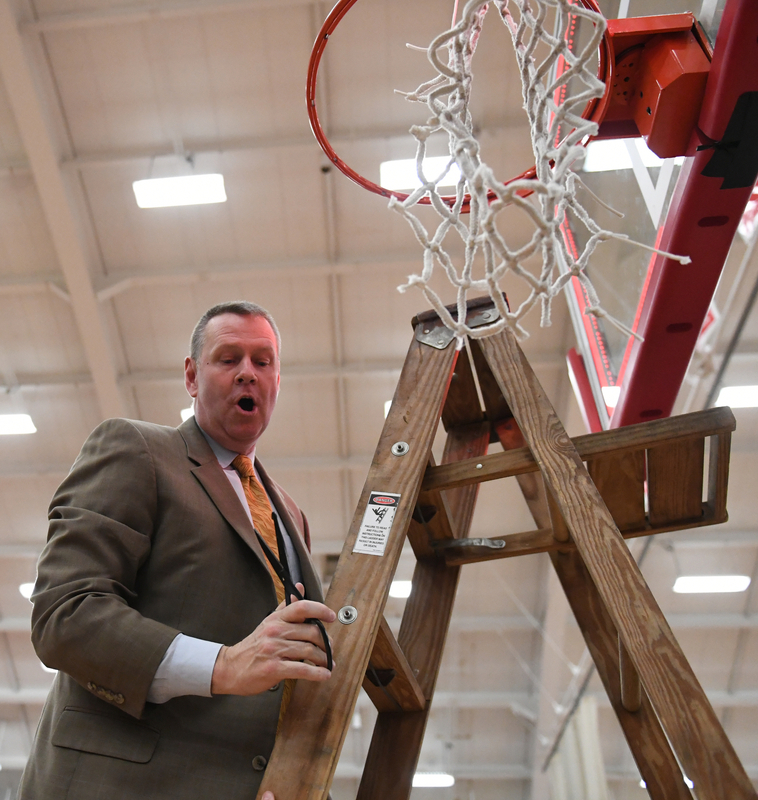 For those not well-versed in lip reading, Coach Wilson is saying, “HOLD this ladder!” I think he is suspecting some possible shenanigans. 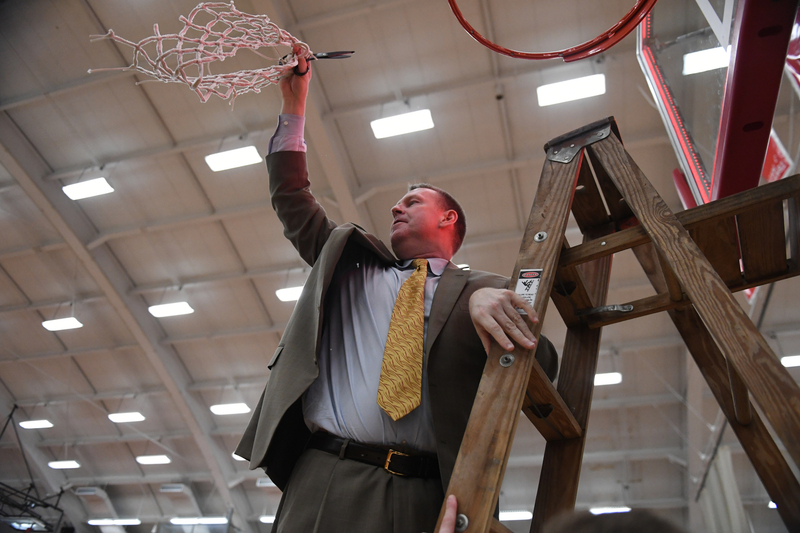 Coach Wilson makes the final cut to bring the net down. 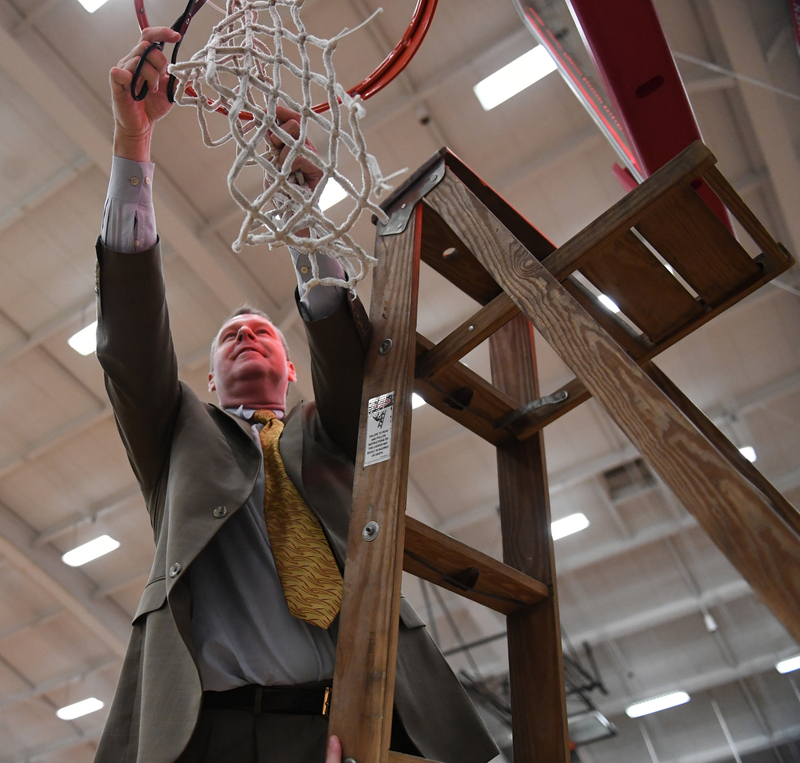 Coach Wilson shows off and celebrates with the now fully detached net. 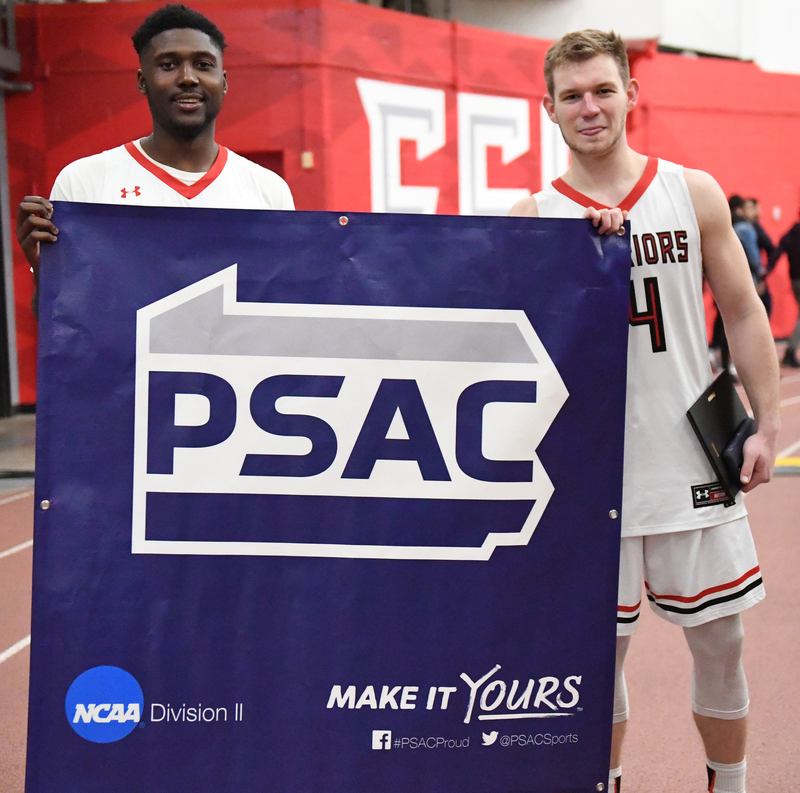 Ralik Wise and Ryan Krawczeniuk pose with the PSAC banner. 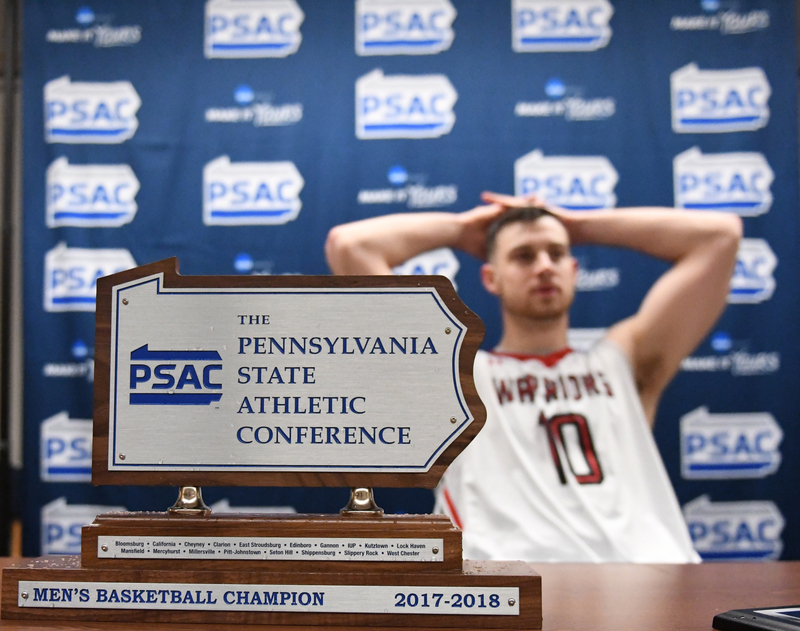 Steve Harris relaxes behind the PSAC Championship trophy prior to the press conference. 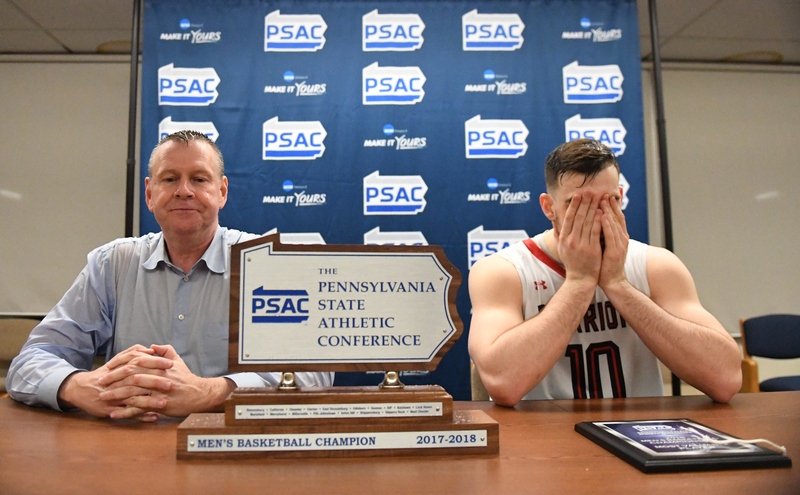 A drenched Coach Wilson, from a Gatorade bath, sits beside Steve Harris, who is still taking it all in, as the press conference begins. A funny comment brings smiles to Coach Wilson, Steve Harris, and Jakwan Jones during the press conference.